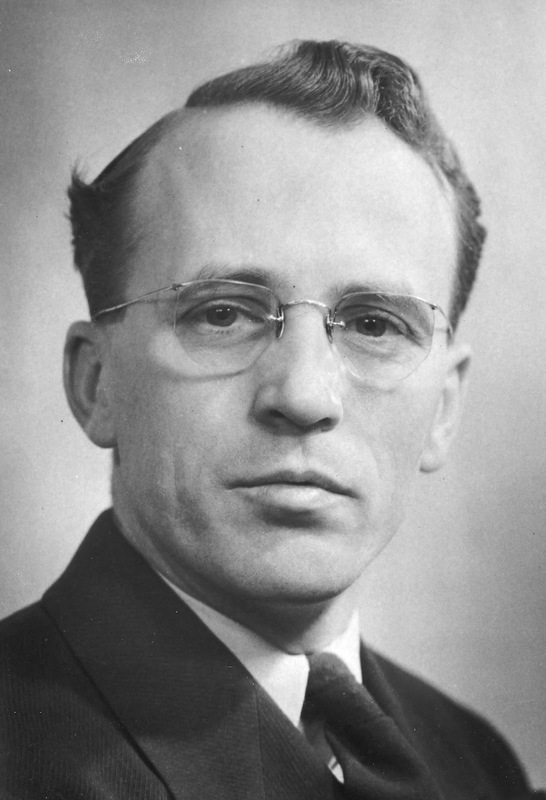 Tommy Douglas, the so-called "Greatest Canadian," was actually born in Scotland in 1904. At age six, his family relocated to Winnipeg, Manitoba. Later, Douglas became a Baptist minister before becoming a politician. Most what of is taught or written about Tommy Douglas is blatant propaganda. The goal of this post is to give a more rational outlook on the man's works and accomplishments. Although best remembered for his socialist policies, other items - such as his Masters thesis on eugenics - are equally important for defining who Tommy Douglas was and the kind of world he wanted to create. Coming of Age and Master's Thesis. In 1924, at age 19, Douglas enrolled at Brandon College to study theology. Heavily influenced by the Social Gospel movement, which yearned to rid society of "social evils" in order to bring about the Second Coming, Douglas was taught to view Christianity not only as a struggle for individual salvation, but an engine for social change. He also took a course on socialism. Despite his left-leaning views, he made money by preaching. Although, the word "preaching" may be a stretch, as Douglas' sermons advocated political and social reforms. "The Bible is like a bull fiddle," Douglas once said, "you can play almost any tune you want on it." This interpretation laid the basis for Douglas' justification to preach about "building a society and building institutions that would uplift mankind," rather than traditional Christian topics. Douglas graduated from Brandon College in 1930 and completed his Master's degree in Sociology from McMaster University in 1933. His thesis, entitled The Problems of the Subnormal Family, endorsed eugenics. Eugenics is a pseudoscience aimed at "improving" the human population by controlled breeding to increase the occurrence of "desirable" heritable characteristics. In Douglas' system, the state would require couples seeking to marry to be certified as mentally and morally fit. What constitutes a couple whom are mentally and morally fit are, of course, determined by the discretion of state bureaucrats. Anyone considered "subnormal," such as those with low intelligence, moral inferiority or STD's, would be sent to concentration camps or state-owned collectivized farms. While those judged by the central planners to be mentally defective or incurably diseased would be sterilized. Later, as premier of Saskatchewan, two reviews of the province's mental health system recommended a program similar to Douglas' system. Fortunately, majority opinion had turned its back on eugenics after the disastrous results of Nazi Germany. Douglas' government never implemented the system described in his Master's thesis. In 1931 Douglas was attending the University of Chicago, continuing his studies in sociology, although he never did complete his PhD thesis. He performed field work, however, and was a first-hand witness to the Depression-era "hobo camps." When Douglas interviewed the men who once belonged to America's middle class, he wrote that, "it was impossible to describe the hopelessness." He was outraged at the Socialist Party for sitting around quoting Marx and Lenin while waiting for a revolution instead of instigating one. He wrote, "I've no patience with people who want to sit back and talk about a blueprint for society and do nothing about it." In 1935, Douglas and his wife Irma were living in Weyburn, Saskatchewan. Douglas joined the newly formed Co-operative Commonwealth Federation (CCF) party and was elected to the House of Commons. The CCF, a self-described democratic-socialist party famous for its Regina Manifesto, called for "a planned and socialized economy in which our natural resources and principal means of production and distribution are owned, controlled and operated by the people." That is to say, the state; the manifesto concluded that, "No CCF Government will rest content until it has eradicated capitalism and put into operation the full programme of socialized planning which will lead to the establishment in Canada of the Co-operative Commonwealth." In 1942 Douglas was elected the leader of the Saskatchewan CCF and in 1944 led the party to power, winning 47 of the 53 seats in the Legislative Assembly of Saskatchewan. In his first term, Douglas' government enacted a series of socialist "reforms" including the creation of the state-owned Saskatchewan Power Corporation, aimed at providing electricity province-wide. 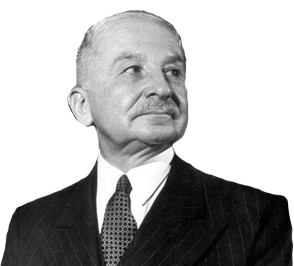 He monopolized automotive insurance in the hands of the state, as well as the creation of a large number of Crown Corporations, many of which competed with the private sector, often winning in this competition of resources. He unionized public sector employees and monopolized hospitals in order to provide "free" health-care. Due to the booming post-war economy, Douglas' government slowly paid off Saskatchewan's debt and ran budget surpluses. Supporters of the Douglas may point to this period in history as proof of socialism's superiority over laissez-faire. But as Henry Hazlitt popularized, this line of thinking ignores the long-term effects for everybody. What Douglas' government did from 1944 to 1960 was promote the short-term interests of one or a few groups at the expense of everyone else. Simply, Douglas' government was one giant broken window fallacy. A 1962 doctor's strike in Saskatchewan didn't keep Douglas from taking his socialism to the federal level. He took over the federal New Democratic Party and advocated for a national health-care system. Prime Minister John Diefenbaker, another Saskatchewan politician, saw the popularity in "free" health-care and introduced a plan to give all province's 50 cents on every dollar they spend on health-care. Diefenbaker appointed Justice Emmett Hall, also of Saskatchewan and a jurist of the Supreme Court of Canada, to head a Royal Commission on a national health-care system. Not surprisingly, the Commission recommended the nationwide adoption of Saskatchewan’s model of state-owned and state-run health-care. The Liberal minority government of Lester B. Pearson implemented the program and Canadians have been paying for this bureaucratic coup d'état ever since. The coercive monopoly has resulted in long waiting lines, a shortage of doctors, a ballooning budget, and effective propaganda against "privatization." Canadians easily have one of the worst health-care systems in the developed world. In 2012, it was calculated that Canada's "free" health care is costing the average individual $11,000 a year. This is the legacy of Tommy Douglas. Federal NDP Leader and Death. The CCF transformed into the New Democratic Party and Tommy Douglas took the lead. He alternated between winning and losing House of Commons seats, until 1969 when he won a British Columbia riding and held it till his retirement. Although the NDP did better than the CCF, the party never experienced the breakthrough its supporters were aiming for until 2011. Despite this, Douglas' party wielded considerable influence on Lester B. Pearson's minority governments. Douglas opposed Trudeau's War Measure Act in 1970, even though political friends and foes and the media intelligentsia supported the Act. Despite taking heat for his stand, Douglas was later honoured for not endorsing the police state. He resigned as the NDP leader in 1971 and retired from politics in 1979. After politics, he sat on the board of directors of Husky Oil (now Husky Energy), an Alberta oil and gas exploration company. In 1981 he was appointed to the Order of Canada and in 1985 awarded the Sakatchewan Order of Merit. In 1984 he was hit by a bus, but recovered and lived to be 81. He died of cancer in Ottawa on February 24th 1986. 18 years later, CBC - the state-broadcaster - conducted a contest that crowned Douglas the "Greatest Canadian." In the opinion of this writer, Tommy Douglas is the Greatest Canadian. If Canada is defined as arbitrary lines on a map, with a history that is indelibly linked to railroad financiers and British bankers, and a national identity that borders on a civic religion - then yes. In the spirit of the statist propaganda that the nation-state relies on, Tommy Douglas really is the Greatest Canadian. Stewart, Walter. Tommy: the life and politics of Tommy Douglas. Toronto: McArthur & Company, 2003. Print.